We are very pleased to have two great individuals to join our advisory board. - John David Carrasco, Executive Director of the HISCEC in Texas. Miriam Marsh, MSM and MBA, is the Founder and President of M. Power and Associates, an international management consulting firm. She ensures that companies involved in international trade are compliant with federal anti-terrorism programs. Ms. Marsh has certified companies such as General Electric, Sanmina, Sanyo, Raytheon and others. 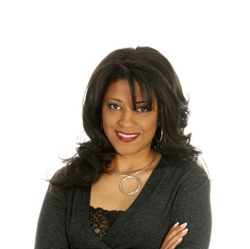 She has also been as a subject matter expert for various media outlets such as the Homeland Security edition of USA Today, CNN, and local radio shows. Ms. Marsh frequently travels internationally and interacts daily with government agencies and other companies located in Asia, Europe, South America, Canada, Mexico, and the U.S. Miriam Marsh is a Harvard trained professional who has a Master of Science in Management with a concentration in Homeland Security. She is also a certified Crisis Response Coordinator (CRC), Certified Homeland Security Level V (CHSV), and Six Sigma. In addition, she holds certifications in U.S. FEMA’s National Incident Management System (NIMS) and National Response Framework (NRF). Ms. Marsh states, "I am excited to be a part of this chamber and the leading edge technologies that they leverage to bring opportunities to people around the world." "The Advisory Board has played a key role in the growth and development of the Hispanic Chamber of E-Commerce since 2014. We want to welcome Miriam Marsh and Steve Gallegos to the honorable Advisory Board. Their contributions are going to help to position the Hispanic Chamber of E-Commerce in Texas and to strengthen the programs and initiatives of the organization at the national level. We look forward to working with Ms. Marsh and Mr. Gallegos," said Tayde Aburto, founder of the Hispanic Chamber of E-Commerce. For more information about the Hispanic Chamber of E-Commerce please visit http://www.hiseb.com. The Hispanic Chamber of E-Commerce is a benefit corporation using the power of business for social good. The organization combines the values of a non-profit with the flexibility and innovation of a tech startup. HISCEC's mission is to promote the use of the Internet as a business tool to help family owned businesses to become more competitive.